The refurbished Transbay Transit has introduced a 1.5 million square foot development, which is part of the transport hub, part of the public park and urban space, part of the offices and retail facilities. The massive undertaking has brought together 11 local and national transport systems that serve 45 million people annually. 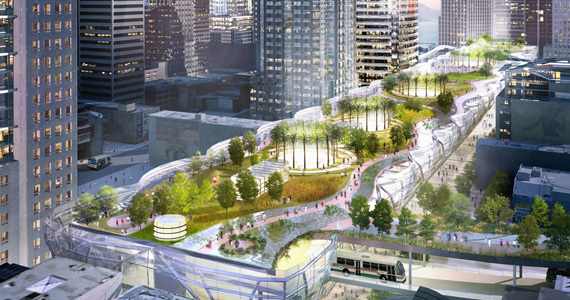 In addition to providing access to myriad transit lines, the project also offers a 5.4-acre rooftop park in downtown San Francisco and numerous cultural programs. The project was estimated at $4.2 billion and planned to be completed in 2017. This project will contribute to the estimated revenue of $87 billion by 2030.